Increasing the fats in our diet is considered a positive health move. But with so much changing information out there it’s easy to get completely baffled as to which fats to choose or avoid. From vegetable oils to dairy, here’s the latest fat facts. 1.What fats should I eat more of? Before you reach for a ham salad sandwich, consider instead a liberal spread of fatty peanut butter. New American research now shows that adding more vegetable oils - such as those in nuts, olive oil, and avocadoes - into our diets could give an incredible boost to our health. You don’t even have to spend a lot on trendy olive oil. Up to four tablespoons each day of cheap, basic vegetable oil was shown drastically to reduce the risk of heart disease and lower blood cholesterol levels. According to the new research, men in particular will benefit from increasing their consumption of vegetable oils and reducing their carbohydrates. Adding just one daily tablespoon of vegetable oil was shown to reduce the risk of prostate cancer by 29 percent, as well as reducing the chance of dying from other diseases by 19%. It was strongly noted that a corresponding reduction in our intake of carbohydrates and animal fats makes these health benefits much more potent. Anything which is liquid at room temperature is generally a considered a healthy fat. Increasing our consumption of these e.g. by eating oily fish such as mackerel or sardines two or more times a week, is a great way to get enough omega 3 oils to maintain good health. Vegetarians can get the same benefits from walnuts and flaxseeds and these can be easily consumed as a snack. 2.Which fats should I limit? Opinions is currently divided here. Official health advice considers any fat which is solid at room temperature to be best kept to a minimum. This includes meat, butter, dairy and lard. Imagine all that fat solidifying in your arteries and you will have a good idea why it’s recommended to stick to a maximum of 20g daily maximum of saturated fat. However, an increasing number of people believe that saturated fats are actually high quality foods with many beneficial properties. For example, butter from grass fed cows is high in vitamins, minerals and healthy fats. Human breast milk itself is 54% saturated fat and is perfect for the developing brain. Coconut oil is another saturated fat which many people consider good for us. Its fatty acids are quickly absorbed into the bloodstream rather than being stored as fat, making it an ideal fat for fuelling athletic performance. Up to 3 tablespoonfuls a day have been recommended to for optimum benefit. Many top nutritionists and health blogs (for example the Paleo diet) actually now recommend increasing your intake of all fats while reducing carbohydrate intake. No question here, this is the big fat baddy. Sometimes referred to as ‘hydrogenated fats’ these are mostly found in takeaways, margarines and processed baked goods such as biscuits and cakes. They are mostly unnatural fats which are considered even worse for us than saturated fats and best avoided completely as they do nothing for us but damage. If you remember nothing else, always choose natural fats over transfats. The good news is that butter is in and margarine is out. 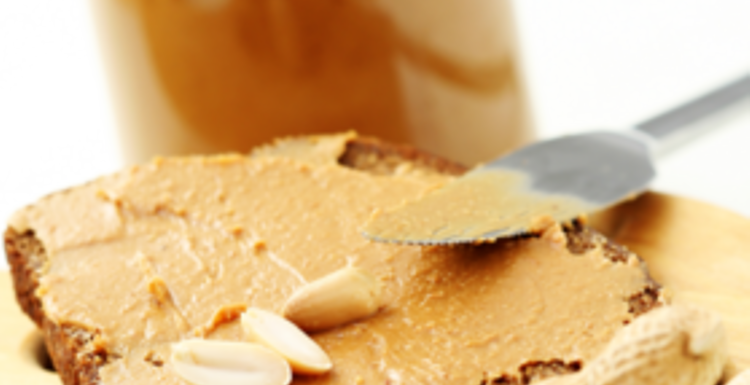 3.Which fats are best for top performance? Fats are actually a very useful source of energy for people who exercise regularly. In particular, endurance activities lasting longer than an hour will benefit from a potent fuel source such as healthy fats. At least 25 percent of your daily calories should then come from healthy fats such as olive oil, nuts and seeds. Intense exercise also benefits from consumption of high quality fats as they help protect the surface of the lungs from damage and assist in oxygen uptake during exercise which will help boost performance. The best fat choices for anyone who exercises are high quality fats from high quality foods such as eggs, nuts, cheese, seeds, meat and oily fish. These provide a variety of nutrients such as vitamins A, D, E and K which are needed to support hormone releases e.g. cortisol, required during exercise. They also help repair damage to muscle tissue between workouts. 4.How much fat should I eat? Although it’s now commonly acknowledged that we should all eat plenty of healthy fats, the amount we should eat is still up for debate. The advice swings from one extreme to the other, for example the popular Paleo diet advocates a very high fat diet including over 100g of fat each day, while official advice from the World Health Organisation recommends a more modest minimum of 32g of fat daily. Wherever your opinions lie, overwhelming evidence now shows that a diet high in the right sort of fats while reducing your intake of refined carbohydrates and sugars is one of the healthiest ways to eat.